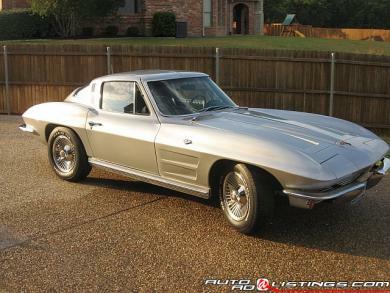 1964 Corvette Coupe. 4 Speed, manual transmission. 327 cu, 365 HP. Just finished frame on restoration. Engine has 1000k break in miles. Olde Air installed. 104k miles before speedometer broke. Matching engine numbers. All 1964 parts, mint condition. I have over $80k in the car with all receipts. $52,000 OBO.